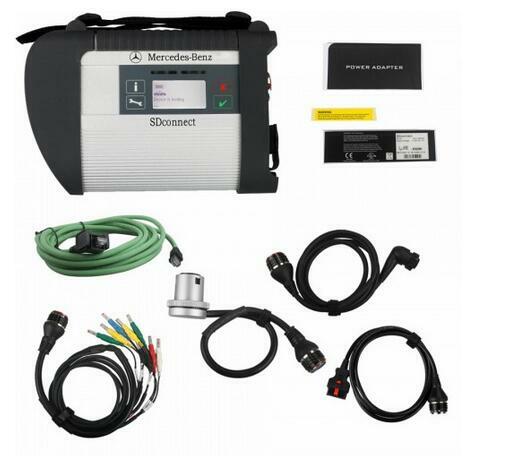 Mercedes benz star scanner is a very popular auto scanner in the market. However,Many customer are confused to choose when they want to buy one, because there is four version of mb star:Mercedes Benz Star diagnosis C3, benz star c4, MB star Compact C4 and super Mercedes BENZ C5. Besides, Professional Diagnostic Tools Mercedes Diagnostic Tool star SD connect C4 interface components used the military quickly inserted techniques that can support one million times plug, more stably;And all of the its core components adopt new original packaged chip, plus 24 hours fatigue test, to ensure its stable release. 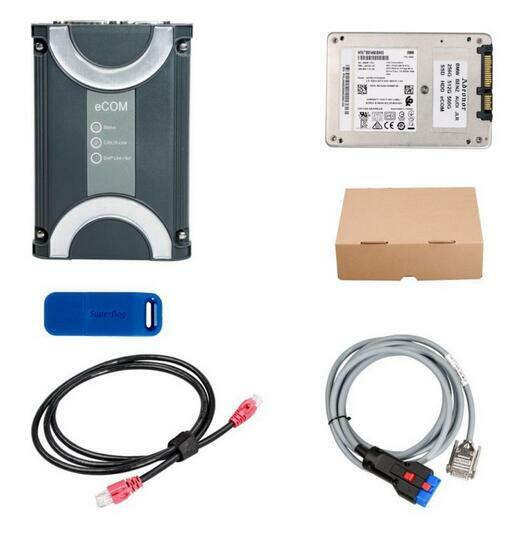 New Arrival: Benz Ecom diagnostic and programming tool for newest Benz models. It comes with Dongle and software in the hard disk, activation via remote assistance. Works with newest Benz models instead of old models like MB SD C4. Support diagnostic software Xentry, engineering software Vediamo and super DTS Monaco, it has a than higher access right than SDC4. Ecom supports the CAN/DoIP protocol, which can be used to diagnose and programming (brushing & writing) for the new car audio and video entertainment systems. The Mercedes-Benz engineering database of diagnosis / coding / retrofit /flashings is using the Xentry database, so the Mercedes-Benz engineering version depends on the version of Xentry, as long as the database is new, the V4.00 version can be used on new models. compact3 can be used. SDC4 does not support ODX documents. The latest V5.00 uses eCom to support ODX files. It is recommended to use Ecom, with DoIP function, the speed is faster and more stable. Support the diagnostic software Xentry, DAS software diagnostics, engineering Vediamo, super DTS Monaco, Xentry and DAS Developer mode etc. The instrument is needed to modify the regional language configuration or open other convenient functions. With the increasing number of new car with DoIP protocol, the mb star SDC4 has slowly failed to meet market demand. —The PART W mux(MB SD Connect C4) is and Ethernet/wifi connected system and that is the reason for use on other laptops—the issue is the operating system currently DAS Xentry only runs on XP. Smart TAN Code: Opened special function in DAS program with Smart cars 405/ 451/452/ 454.Besides, it also opened more special functions, such as engineer mode, remove limitations,etc, which MB Star Diagnosis Star C3 and Star C4 do not have.